Personal, Social, Health and Economic (PSHE) education is a subject through which pupils develop the knowledge, skills and attributes they need to manage their lives, now and in the future. It deals with real life issues which affect children and young people, their families and their communities, and engages with the social and economic realities of their lives, experiences and attitudes. Our school’s Christian values, respect, honesty, friendship, tolerance, perseverance and enjoyment underpin all aspects of school life. We are committed to providing a caring, friendly and safe environment for all of our pupils and so bullying of any kind is unacceptable. If bullying does occur, all pupils know that incidents will be dealt with promptly and effectively. We are a TELLING school. This means that anyone who knows that bullying is happening is expected to tell the staff. In November each year we focus on the theme of Anti-bullying. Children’s work and activities centre around this theme and we have a number of events, workshops and theatre groups visit Chorlton CofE to reinforce the message. 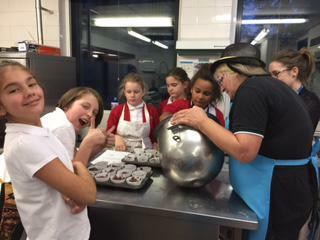 As part of our efforts to maintain our 'Healthy School' status, we started our first cooking club this term. 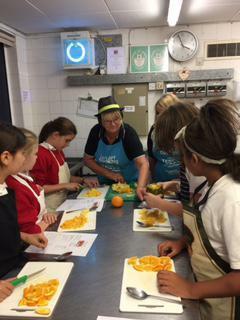 We wanted to help develop our children’s knowledge of healthy foods by teaching them ways to cook healthily, so, along with our skilled cook, Sue, they had a busy 5 weeks of fun. 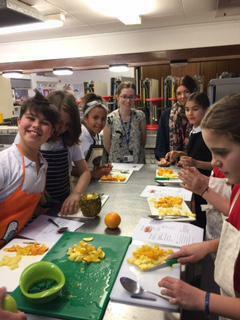 From fruit salad to fajitas, the Year 6 children cooked up a storm! Our school is taking part in Anti-Bullying Week this term between Monday 14th–Friday 18th November 2016. Anti-Bullying Week helps schools across England to shine a spotlight on bullying and encourage all children, teachers and parents to take action against bullying throughout the year. The theme this year is ‘Power for Good’. It is organised by the Anti-Bullying Alliance and they have set the following key aims: • To support children and young people to use their Power for Good – by understanding the ways in which they are powerful and encouraging individual and collective action to stop bullying and create the best world possible. • To help parents and carers to use their Power for Good – through supporting children with issues relating to bullying and working together with schools to stop bullying. • To encourage all teachers, school support staff and youth workers to use their Power for Good – by valuing the difference they can make in a child’s life, and taking individual and collective action to prevent bullying and create safe environments where children can thrive. We had a busy week this year again with our Anti-Bullying campaign. The school council presented a fantastic workshop to parents on we can all work together to prevent it bullying. 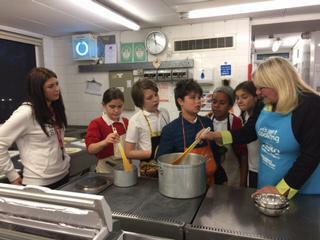 They worked with Manchester Healthy Schools to create their presentation and the audience were really impressed! 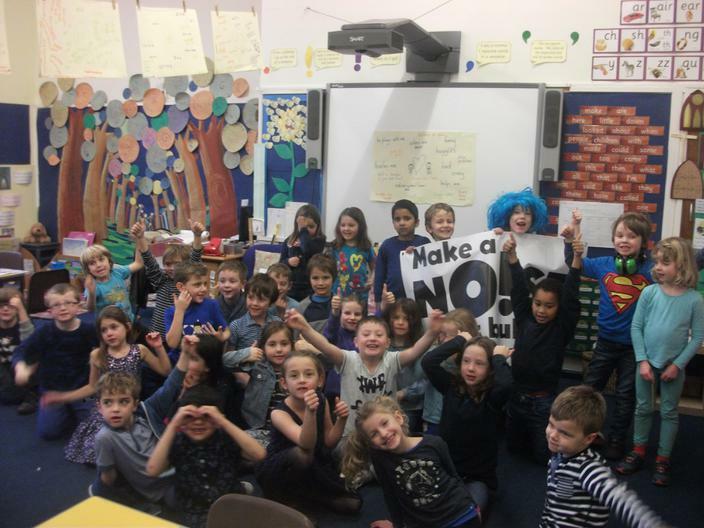 Everyone took part in blue Monday again this year, and the children spent the week doing great work in lessons on the 'Power For Good theme'. A snapshot of the wonderful work we've done for the 2016 Anti-Bullying Campaign. 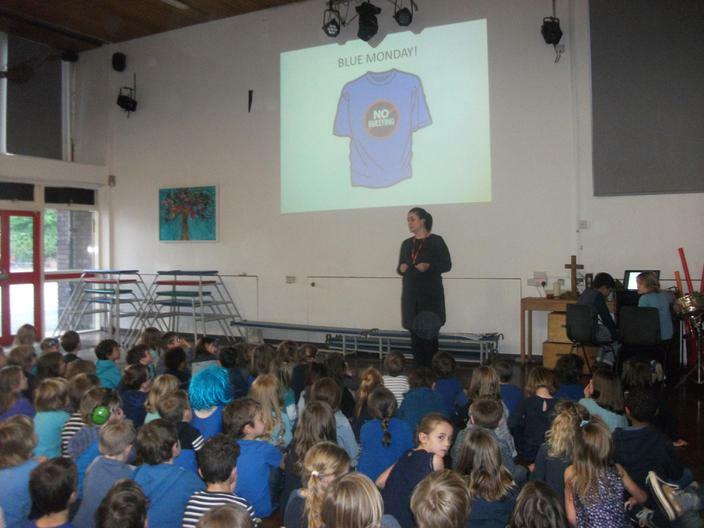 We kicked off our campaign by holding 'Blue Monday'. 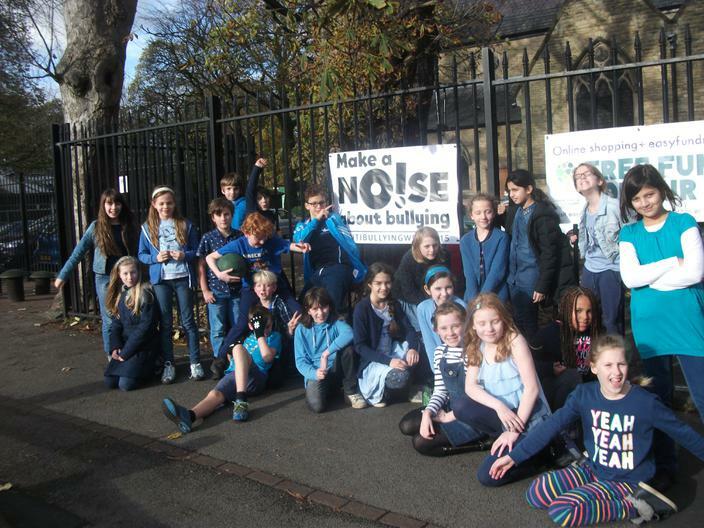 Statistics show that children are more likely to experience bullying on a Monday, so all the children wore blue to raise awareness of this. We then held a number of exciting activities throughout the week, including an anti-bullying workshop and an assembly sketch performed by our Year 5 children. We focused on how we can build positive relationships too, and how to manage conflict using gentle methods of communication.